As you slam dunk your spoon through creamy mocha and caramel to celebrate the epic chocolate cookie spread core, your technique may not be perfect, but the victory's perfectly delicious. We strive to make the best possible ice cream in the best possible way. We source non-GMO ingredients, fair trade cocoa, coffee, sugar and vanilla, eggs from cage-free hens, milk and cream from happy cows. Your satisfaction guaranteed or your money back. Please send container bottom, place and date of purchase, and specific details. 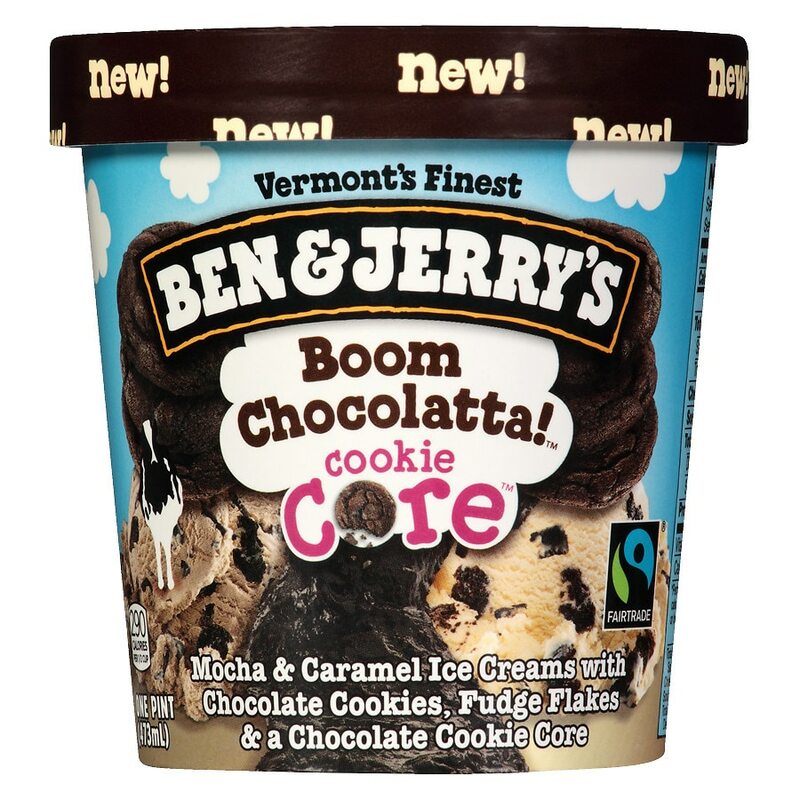 ©2014 Ben & Jerry's Homemade, Inc.